Experience Kentucky Science Center after dark! 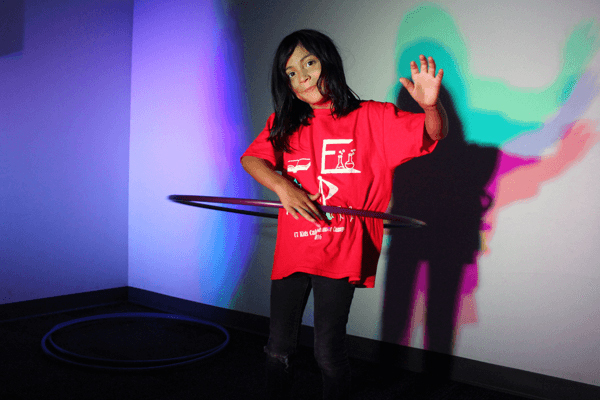 Kentucky Science Center Overnight Adventures are once-in-a-lifetime camp-IN opportunities. Late night science activities, a private showing in the theater, a flashlight scavenger hunt, and unrolling your sleeping bag next to a mummy: do it all in during an Overnight Adventure! Bring your whole troop together for an event they’ll never forget! Book your own private event or see scheduled scout overnights. Bring the whole troop together for an event they’ll never forget! Book your own private event with at least 75 guests, or visit our scout page to see scheduled scout overnights. Grab your family, a sleeping bag, and a toothbrush and spend the night at the Kentucky Science Center! Register for our next Family Overnight event, or get 75 of your closest friends together for an unforgettable private event! Check back for 2018 Family Overnight dates! Book a private, educational overnight event full of interactive activities, an educational documentary, and discounts on next-day classes and labs.